Want help choosing the perfect present for your loved one? We are here to help on 0117 949 8338, 9am – 8pm. With our Packages and Options you can tailor your balance board package to your needs, for today and your future. Whether you’re refusing to age quietly or you’re an Olympian in training, recovering from injury or just want a bit of fun when its raining and the surf is flat, we’ve got the best package for your balance training. We are here to support you now – and for as long as you are CoolBoarding. Coming with our Small Ball of 4 inches / 100 mm, its keeps you close to the floor for the easiest of starts and confident use. The perfect introduction to 3D balancing. Being so close to the floor, if used dynamically it is possible to catch a corner of the Board on the floor. 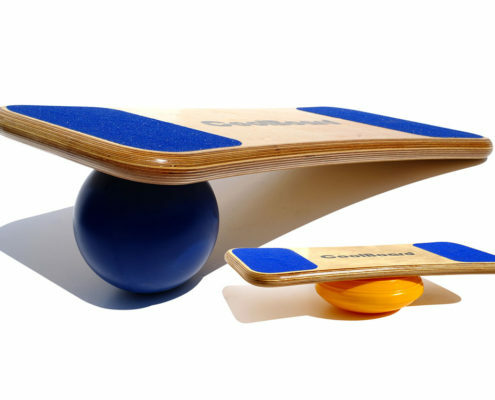 So spirited riders will prefer a bigger ball, especially if using a Large Board. Many people also prefer a larger Ball for doing the exercises. Add an Easy Start Balance Disc for just that – an easy start! With our Medium Ball at 5 inches / 125 mm in Slow, Standard or Quickness Speed, you will get a great balance between confidence and performance. It takes a little more conviction to get going when compared with the Starter Package, but you’ll be rewarded with better performance. As it says on the tin – the best! Comes with our Large Ball at 6 inches / 150 mm in Slow, Standard or Quickness Speed. Being further from the floor it takes some conviction to get going, but you’ll be rewarded with the best balance and exercise experience available. Comes with a choice of Easy Start Balance Discs and no Ball – for those who are not sure if they will want the full movement of the Ball. Perfect for Physiotherapy, Standing Desks, the Elderly and the Young. Chose from a 30cm or 40cm Easy Start Balance Disc. The CoolBoard is the same so you can buy a Ball separately in the future. Further workouts, exercises and accessories are available from us and will be added to periodically. Its all about the size of the ring on the underside of your CoolBoard balance trainer. A bigger ring gives you more balance room to play with, giving a greater workout, more challenge, and way more fun. But too big is too much to handle for a small foot. Sizing is affected by your shoe size, your skill level, and the size of the Ball. A bigger Ball effectively equals a smaller ring. You can safely ride a board that is too small for you, it will just limit your movement, but you should only ride a board that is too big for you if you are experienced. So if you plan on sharing your board with a friend or more, order for the smallest feet between you all. Shoe size 9 and under – go for the Medium Board unless you’re up for a very big challenge! Shoe size 8 – 9 – you’ll find the Medium Board easier to begin with but once you’ve got the hang of it you may find it restrictive in which case you’ll have much more fun on a Large Board. Shoe size 7 and under – go for the Medium Board unless you’re up for a very big challenge! Shoe size 7 – 8 – you’ll find the Medium Board easier to begin with but once you’ve got the hang of it you may find it restrictive in which case you’ll have much more fun on a Large Board. 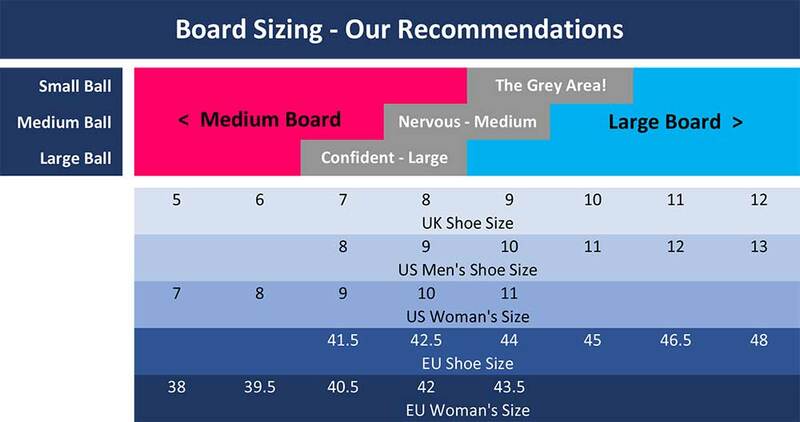 Shoe size 6 and under – go for the Medium Board unless you’re up for a very big challenge! Our solid polyurethane balls are far superior to the Inflatables Balls we first started using over 10 years ago. But some of you still love the Inflatable Balls so we still supply them. The advantages of the inflatable ball are that you can slightly adjust the speed of the ball by adjusting the pressure in the ball, and if you want a large ball (the Inflatable Ball is 7 inches / 165 mm), they are more affordable. To pump up the ball and to keep it at the right pressure you will need a pump, preferably with a pressure gauge. Much like a bike tyre, the inflatable balls often need a little pump frequently and replacing every 6 months to 2 years. Our Balls have been specifically developed for CoolBoard – they are superior to the inflatable balls. Never need pumping, will last a lifetime and best of all have an ultra smooth and consistent ride for life! They come in 3 sizes and 3 speeds. Slow Balls give a slow and deliberate speed of movement that is good for early starters and rehabilitation. Standard Balls give a speed of movement that most people find a good challenge. Quickness Balls give a faster speed of movement. Great to really push you balance training and workouts. Small – 4 inch / 100 mm – Confidence inspiring by keeping you close to the floor. 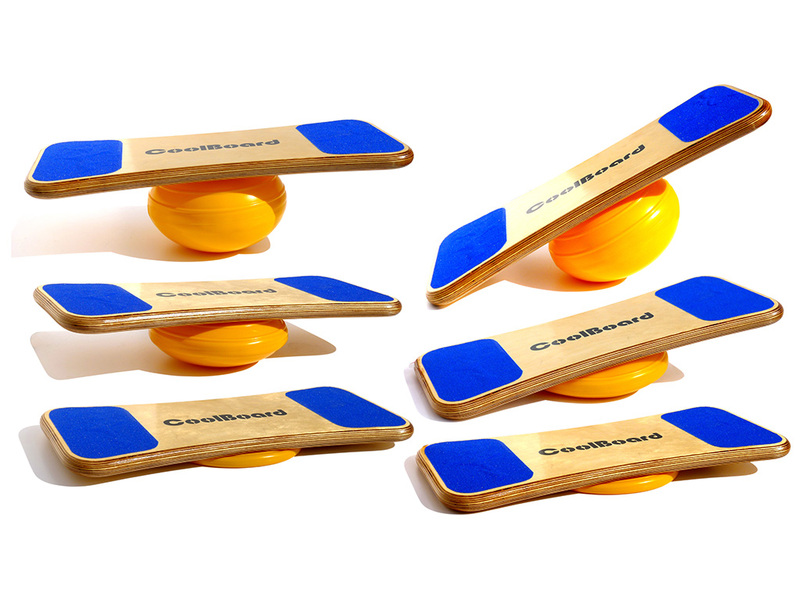 Dynamic use will mean the corners of your CoolBoard balance board can catch the floor. Some exercises are less effective – e.g. Dips & Tilted Squats. 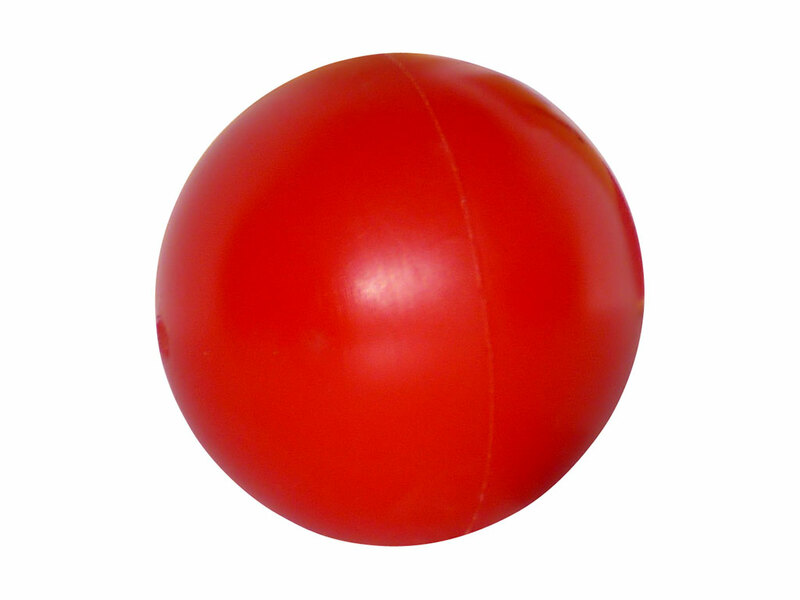 Medium –5 inch / 125 mm – A good all-round ball. A great balance between confidence and performance. 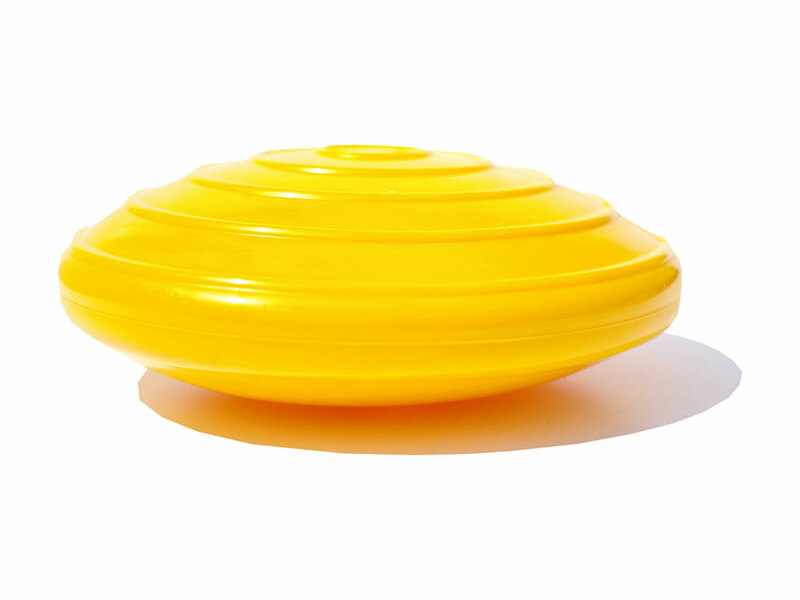 Large – 6 inch / 150 mm – Best movement for balancing and perfect for exercising – our best ball. Requires more confidence as you are higher. It is safe to use by almost anyone. Get one as an option to any CoolBoard package for an easy stepping stone on your way to using the ball – Or get our Starter Package with is Disc only – you can always get a Ball later. Being inflatable, all discs are adjustable from 1 cm thick giving a few degrees of tilt to fully inflated giving up to 45 degrees of tilt. 30 cm – Quicker movement, more challenging, feels twitchy. 40 cm – Slower movement, easier to get started on, feels more stable. For more detailed information please see our Customer Services Page.